Pitch: Family fare à la Don Bluth. An American Tail meets Finding Nemo in the Art Deco-Style of the 1930s. Synopsis: New York, 1930. Skyscrapers reach for the sky when a squirrel family adopts a baby harrier named Scrap. They don’t know that Scrap will turn their life upside down. In the end Scrap has to face his fears to safe his two families. 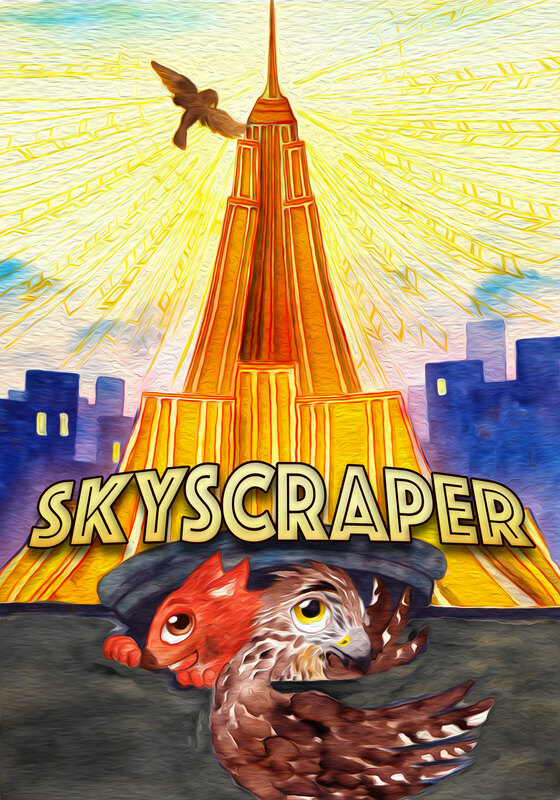 Skyscraper an adventure for the whole family full of suspense, adventure and fascist guinea pigs. When a squirrel family in Central Park adopts an abandoned, baby harrier named Scrap, they expect challenges – harriers, after all, are known for eating squirrels. However, the family’s biggest challenge comes when, through a twist of fate, Scrap and his brother Skip find themselves separated in the big city searching for their mother, and it’s up to Scrap to bring them back together and learn how to fly in the process. This is the premise of “Skyscraper”, an animated adventure for the whole family full of excitement, humor and fascist guinea pigs. 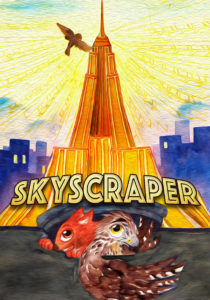 “Skyscraper” received a rating of 8 on the online version of „The Black List“ with comments like „universally funny – perfect for a family film“ or „it has potential to be a great animated feature for family audiences worldwide“. “Skyscraper” was also favorably reviewed by John August and Craig Mazin on their „Scriptnotes Podcast“. We started working on “Skyscraper” a few years ago. We talked about the idea of writing a feature length screenplay and animation seemed like a natural fit. We went through several versions of the story before we settled on what we now call Skyscraper. The basic premise never changed though but the more we refined the plot and the characters the closer we came to what “Skyscraper” is really about. The current draft of “Skyscraper” is 73 pages long. If you are interested and would like to read “Skyscraper”, drop us a line and we’ll send it to you. We are currently in the process of sending “Skyscraper” out to production companies and are proud that “Skyscraper” was nominated for the German Animation Screenplay Award at the ITFS 2018. 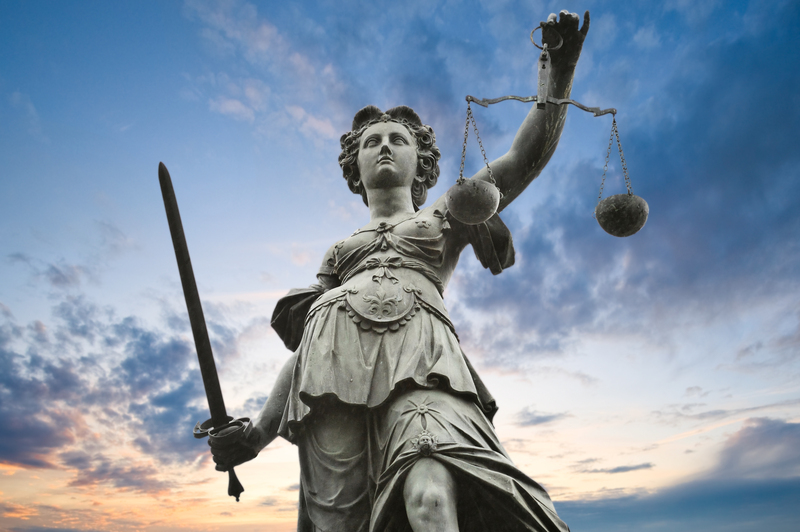 Logline: A very successful lawyer must defend an old flame against an evil energy company, ready to kill for profit. With help from a reporter friend they try to uncover the conspiracy. But one question remains: Who’s behind everything? In the fall of 2016 Gregor wrote a new screenplay as part of #ProjectMomentum. He revived an old treatment and turned it into a movie for German television. The idea was to go back to basics. No Effects, just story and characters, nothing too expensive. The Result is “Die Klientin”, a courtroom-thriller with some (rough) edges. Star lawyer Benjamin defends Katharina, an old flame and/or love of his life, against an evil energy company, ready to kill for profit. With the help from a reporter friend they try to uncover the vast conspiracy. Who killed Katharina’s husband? Who kidnapped her son? Who wants to see her behind bars? These and more questions get answered in “Die Klientin”. The screenplay was an exercise in restraint. 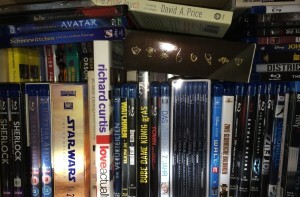 The goal was to write something that is easily produceable on a tight budget. No fancy sets, not too many characters but a compelling story, an intriguing mystery and a cool twist. The screenplay, in German, is still being tweaked. If you are interested and would like to read “Die Klientin”, drop us a line and we’ll send it to you. Feedback is appreciated. Pitch: Joss Whedon’s „The Avengers“ meets „Battlestar Galactica“ and turns into „Pacific Rim in Space“. Or in short: „Saber Rider and the Star Sheriffs“ on the big screen! Synopsis: The new Colonies are under attack. But from who?Is it King jarred or are the rumors that and old enemy has returned? Who or what is RAMROD and why is everyone after him? „Saber Rider and the Star Sheriffs“ tells the story of a group of special loners who are drawn into a war where RAMROD is their only hope for survival. San Diego Comic Con 2012, Hilton Bayfront, at the bar after a long day of nerdgasm….what could possibly go wrong? We were thinking about the great day we just had and discussed the sci-fi movie we decided to write. We talked about the characters, the action, the excitement and we caught ourselves referencing the same old TV show over and over again. A few drinks later we were ready to admit what we both had known about two hours ago. We knew what really wanted to do. So we scraped our generic sci-fi idea and started work on a live action version of “Saber Rider and the Star Sheriffs”. We loved that show when we were kids and even though we know that it is a long shot we tried to write the best possible movie version we could think of. It was our goal to write something completely different than Skyscraper and we think we succeeded. “Saber Rider and the Star Sheriffs” tells the exciting story of a group of individuals who have to work together to fight an enemy who is willing to do anything to win. The new colonies are under attack but who is responsible? Is it King Jarred with his army or has an old enemy returned to finish what he started over 25 years ago? But there’s more. Who or what is RAMROD and why is everyone after him? Can RAMROD really tip the scale in the war? 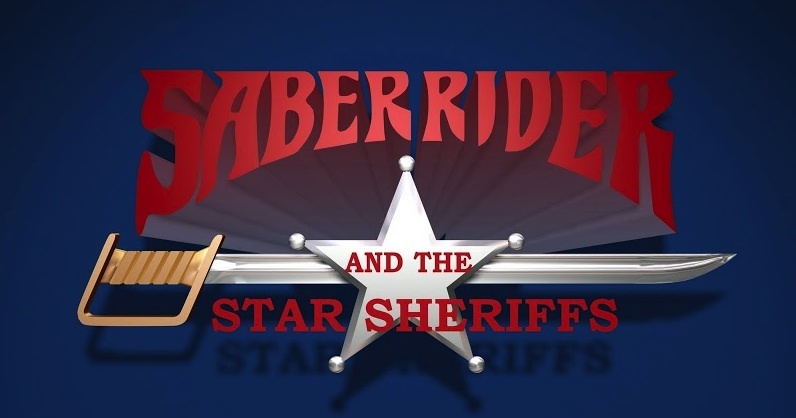 “Saber Rider and the Star Sheriffs” is an action packed and no holds barred thrill ride that tries to stay true to the original show without being a slave to its shortcomings. We focused on the original storyline from the series and made it movie worthy. The stakes are higher and the action is bigger. We are certain that fans of the series and new viewers alike can enjoy “Saber Rider”. The current draft of “Saber Rider and the Star Sheriffs” is 113 pages long. If you are interested and would like to read “Saber Rider & the Star Sheriffs”, drop us a line and we’ll send it to you. (c) “Saber Rider and the Star Sheriffs” is based on upon the animated television series produced by Studio Pierrot and World Events Productions. Ok, this is going to be strange. I (Gregor) started this one a long time ago, even before “Skyscraper”. Back at University, after I completed my first (totally over-written) romantic drama (no, I wont tell that story), I decided to get rid of all that drama crap and write something funny. I combined some of my experiences and some crap I made up in my spare time and turned it into a fairly personal story that is so completely out there that even I can’t take myself serious anymore. The script is full with half-baked ideas I once had (my unfinished time-travel TV show), strange characters and scenes that are blatantly stolen from classic movies. I called this magnum opus “The Passion of the Geek” and even though the script has many flaws, I still remember it very fondly. The “hero” of the story is Ben, basically a movie version of me, which gets confusing when Ben has to convince me, yes me Greg, to help him rewrite the movie. I told you that it is strange. I break the fourth wall a lot and the script makes fun of certain romantic comedy clichés. I tried to write a movie with jokes for people like me, a lot of meta-jokes and some nice references. It is really important though, that I don’t consider it a spoof movie. I have to admit that I0m not the biggest fan of recent spoof movies and I tried to avoid their biggest mistakes and focused more on timeless pop culture than on recent hits. I have to admit that it’s probably not my most original work but I’d argue that the the script is more than the sum of its parts. Maybe you read it and be the judge of that. The current version of “The Passion of the Geek” is 102 pages long and was last revised in October 2016. So if you’re interested in a half-baked strange comedy for total geeks, drop me a line. It has been a while and we (that is still Orlindo and Gregor) decided to relaunch this whole “thing” yet again. The intent is to make it bigger, better and … you know what we mean. In the last couple of years our focus has shifted a little bit. 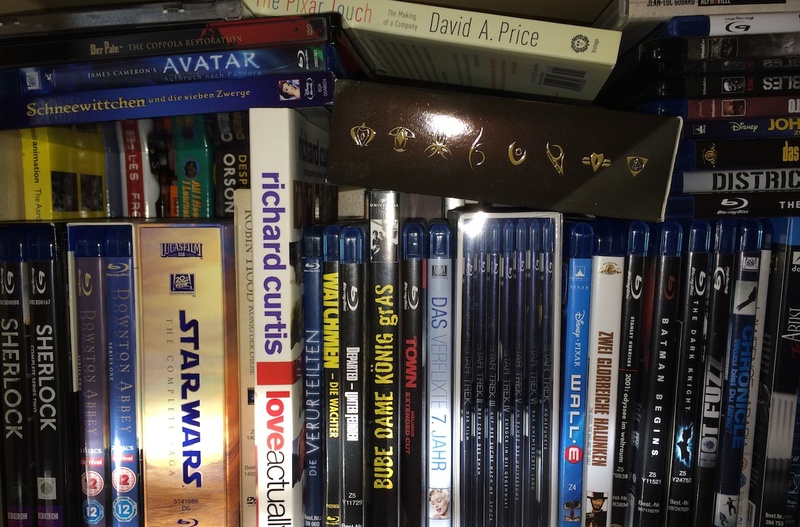 Instead of working on animated shorts we focus on feature length screenplays. We worked really hard (and long) on our first one. We decided to start with something that was dear to our hearts and so we began to work on a screenplay for an animation movie. The screenplay went through different versions and various titles and we hope that the journey of “Skyscraper” is far from over. 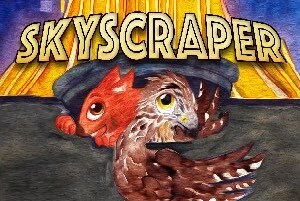 You can learn more about “Skyscraper” here. 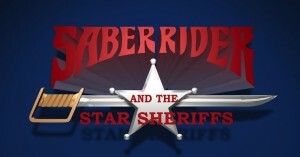 The second screenplay project we took on was “Saber Rider and the Star Sheriffs”. There’s quite a story to tell about this project and you can read that story and more here. 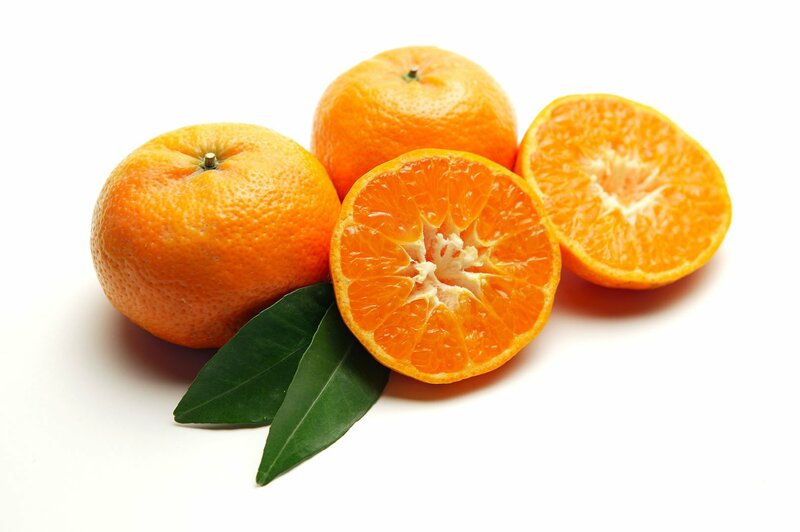 We intend to keep this page up to date, more so than the last iteration of www.whiteworms.com. The site is easier to manage now and we hope that our screenplays and other projects generate more interest and traffic and serve as a calling card for our future writing endeavors. But we are still interested in writing, producing and directing our own little short movies. We will also keep you informed about our trials and tribulations in that area. So feel free to come back from time to time and learn more about us and our projects. We promise to keep the content coming.